PRICE REDUCED! Unusual offering on Alcovy River. 2,500 feet of river frontage. Beautifully wooded and open acreage. 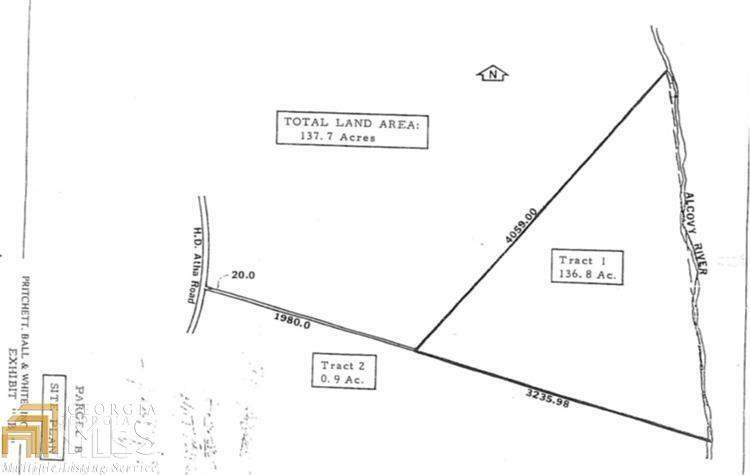 Property has only 20 feet of road frontage on Atha Road. This is part of the property, not an easement. Estate property, priced to sell quickly. Listing provided courtesy of Malcom & Malcom Realty Prof.. © 2019 Georgia Multiple Listing Service, Inc. All rights reserved. Information Deemed Reliable But Not Guaranteed.